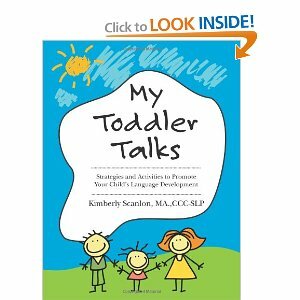 In Kimberly’s introduction, she explains that this book is written to help parents and caregivers facilitate the communication and play skills of their toddlers. She also explains how development of play skills are connected to development of speech skills and why playing with your kids is one of the best way to improve their speech and language skills. Well said, I totally agree!! She also talks about how children typically develop language so that you have some background information about how all this should run. Next comes one of my favorite parts of the book. When I saw this page, I immediately went and made 40 copies and sent them home to all of my families. This lists and explains many different ways to model language for your child in a way that will make it more likely for your child to learn to understand and use the language you’re modeling. Fabulous!! These are all the things that we do in speech therapy that make parents think “Wow, she must be magic! How is she getting my child to talk so much! !” Now you can have that magic, too! These are all the same techniques I work to teach the families I work with and here they all are in one place. This section is also great because it tells you what to do when you feel like the strategies aren’t working. 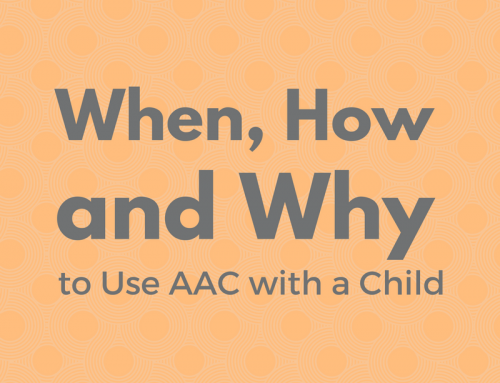 Every child is different and children with speech and language delays vary greatly. This section will give you some ideas to try when you feel like these strategies aren’t quite working the way you’d hoped. They are some simple adaptations you can do to help make progress more quickly. Kimberly also gives you some helpful tips for encouraging speech and language development before diving into the activities. Those of you who are loyal readers on my website will be no stranger to the types of activities that are explained in this next section. Kimberly has taken the time to come up with fantastic speech and language activities that will help develop your child’s language skills during play with a variety of toys and games. The toys of choice include farm, balls, touch and explore box, Mr. Potato Head, playdough, and even some that you don’t need any specific toys for, you can just use what’s around your house. For each toy, Kimberly explains the play routine and what to do throughout the activity to encourage language. She then picks a few of the language strategies outlined above and explains how they could be used specifically in that activity. 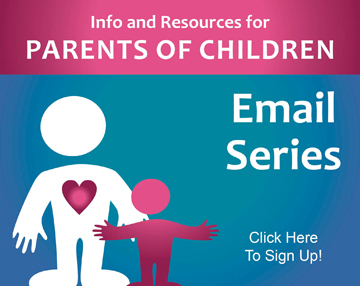 This is such a great resource for parents! I also copied several of these activities for all of my families as well. 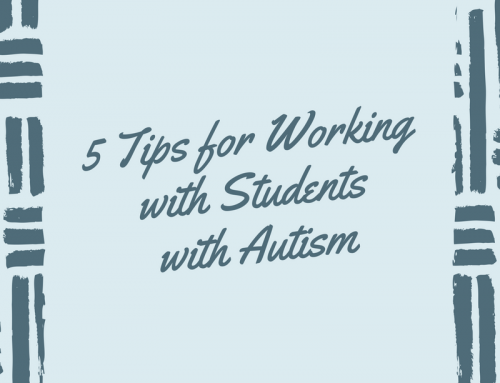 They are always asking me for more homework and I felt like these activities were great for all of my kids’ families, no matter what the diagnosis or ability level. In the back of the book, there are places to track your child’s progress and develop helpful routines. There are also a few clean-up songs and information about play and language development, including common first words (great ones to teach your child). I love this book for parents of children with speech and language delays! This book is geared for toddler-aged children who are not using much language yet but I argue that these techniques could be used for older children as well to develop language skills that are already there but aren’t quite as advanced as they need to be. You could very easily adapt any of these activities to be just a little harder for your little guy or girl. All in all, I highly recommend this book! Kimberly was nice enough to send me a free copy of My Toddler Talks for one lucky reader. If you would like to enter to win the free copy, here’s what you need to do: Leave a comment below that says why you would like to have this book. You could say how it would help your family or tell us a little about your child that could benefit from it. I will be randomly selecting one person from the comments to receive the free paperback book by mail. Make sure you include your email address in your comment so I can email you if you win. Your email address will not be published on the website. Where Can I Buy My Toddler Talks?? Kimberly is selling this book on Amazon in paperback and Kindle versions. Thank you so much for reading and good luck to you in the drawing!! As a speech-language pathologist, I am always looking for tips and strategies to facilitate expressive speech with my 3-5 year old clients. This would be a wonderful book to share with parents who want to help their children at home! 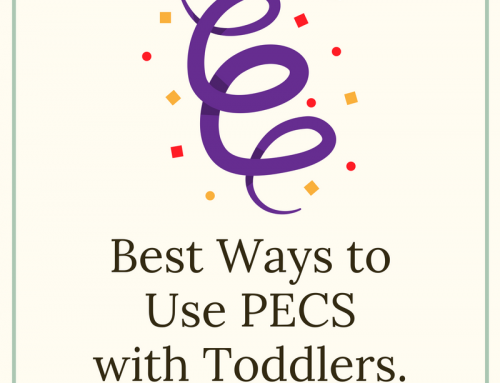 This book sounds like a great addition to have on hand for providing suggestions to our parents of preschoolers! I currently have many children I am working with who’s parents would greatly benefit from the information in this book. I’d love to pass it along. I am a mother and I am trying to help my son to develop the language and the communication.I believe that magic that you mention will make the difference in our attempt.My son is a child that needs these strategies due to the difficulties he is having. As a school-based SLP, this book would be a great resource for parents of my ESE Prek students. Often, parents are so consumed with managing their child’s medical needs that they rely solely on SLPs to improve their child’s speech and language development. I would like to share handouts and information in this book with all ESE teachers and parents. I am a SLP and always on the lookout for good resources to recommend/share with parents. I have a small (but growing) library of books for parents to peruse and this sounds like it would be a good addition! Thanks! I am a SLP in South Africa. I am about to write a series of blog posts on stimulating language in kids, but I would love to have a resource to back me up and refer parents to. This book sounds wonderful! I’m always seeking family-friendly resources to share with parents and caregivers. I work largely with little ones in Early Intervention and I’m often generating lists of tips to stimulate speech and language development. Any new ideas would be great! Thank you! Congratulations Pamela!! You won the drawing for the free copy of the book! 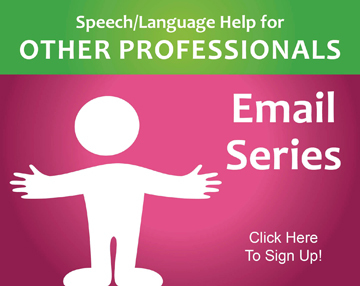 Email me your mailing address at SpeechAndLanguageKids@gmail.com and I will mail it to you! I would love to have this book so I good encourage parents to get their own copy if they are interested. As a daycare provider for a “late talker,” I’d love to have a chance to learn more about how to improve communication with him. Thanks so much for this article, I found it very helpful. I am an slp who recently began working with the intensive needs preschool population. This book would be great to give me some ideas for these kiddos. I too, am an SLP like many who posted who works with the 0 to 5 pediatric population in a hospital setting in Montreal. We serve a very large geographic region with families that don’t have the resources to seek out private therapy or materials for their children who present with complex medical conditions. As a result, I end up doing a lot of parent training as part of my block of therapy to favor carryover at home. This book would be a great tool for me to share with parents of preschoolers with complex communication disorders in my practice. Hope its not too late…. Thanks for this opportunity! I am an SLP who works in a public school that is 80% minority students, many of which are low-income. The majority of my students come from homes where the parents truly want to help their child but they don’t know how, especially in light of the pressures of working extra jobs to provide for the basic needs of their family. I would love to have this resource to share with the parents, yet the school budget is too tight to order it. Thanks for your consideration…and for your excellent review! 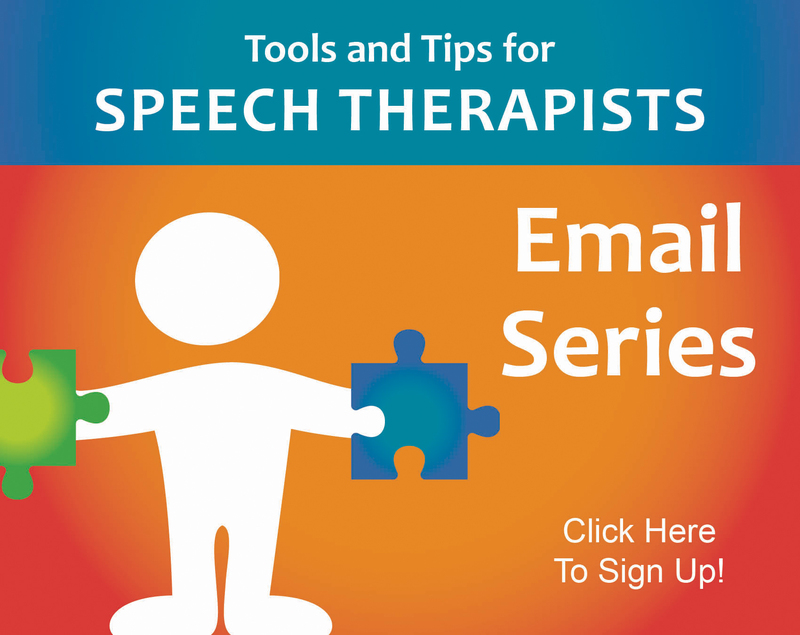 I am a retired SLP who is providing low cost speech therapy to children ages 20 months through 6 years old and am always looking for materials which i can use to empower parents in their efforts to improve their children’s communication ablities. I also have a grandson who is extremely language delayed and would like to empower my daughter and son-in law. My son-in-law is in denial and thinks his son will leave EI and go onto regular preschool. I saw his exit ISFP and test scores indicate that he currently has more than a 33% delay in communication. My daughter is 22 months and saying less than 10 words. I am looking for MAGIC to get her caught up to her peers and twin brother ( who says it all)! I have tried all I know, and would love to have this great resource for my daughter! Thank you for your consideration and for providing sharing such a great resource. I purchased the book from Amazon based on your rave reviews. iAs a seasoned speech therapist, I was sadly disappointed in it. I have other resources tha do a better job. I also give parents handouts which are more comprehensive. I’m so sorry to hear you were disappointed with this book! I was very excited about sharing this book with my parents when I read it so I’m sorry that you didn’t feel like it was a good fit for your families. One of the things I like about this book for my families is that the language tips and activities are simple and easy to follow. This works well for the families that I work with that are typically very busy and don’t have time to add extensive language practice into their day. I also work with families who are quite new to learning that their child has a language delay so straight-forward, easy to comprehend information is easier for them to digest than more comprehensive resources, at least at first. I know that everyone has different preferences and I respect that you did not find this book as helpful as I did, I’m sorry if you feel like I led you astray. My intention is only to share information that I feel will be helpful to my readers, not to mislead you. I would love to use your reply here as a jumping off point for a discussion, though. What types of information or resources do you like to include in your handouts for parents that weren’t included in this book? Who else bought the book? Did you have similar findings to these? I like to use the Let;s Talk publications from ASHA, the Express Yourself packet by ASHA, Promoting Communication in Infants and Young Children by Speech Bin,Super Duper’s Early Language Development and Super Duper’s Early developmental milestones. I adapt these materials for parents and give them other handouts depending the child’s issues. I also show them simple language based activities that they can do. That sounds great! I’m not familiar with all of those materials, I’ll have to check them out. Thanks for sharing with us! I’m the author of My Toddler Talks and I’m so sorry to hear that you were disappointed with my book! It was a three year project and I know of no other books that are as comprehensive and step by step. Please email me at kim@scanlonspeech.com I would love to know why and what you were exactly disappointed in. as a seasoned speech therapist I found your book too basic for me. However, I’m sorry if I came on too strong because your book is a nice tool to share with parents of developmentally delayed children who are willing to work with the speech therapist in helping their child meet his goals. Thanks so much for replying, Carole! I intended the book to be primarily for parents or educators or new slps who want to learn how to purposefully and specifically use play to develop language. Perhaps in the next book or edition, I can include even more ideas/concepts to hopefully satisfy even the most seasoned slp. Appendix D – How Play Relates to Language – is very interesting but since it’s in the back of the book, I think it may get overlooked. Thank you! Thank you for those kind words Carole! 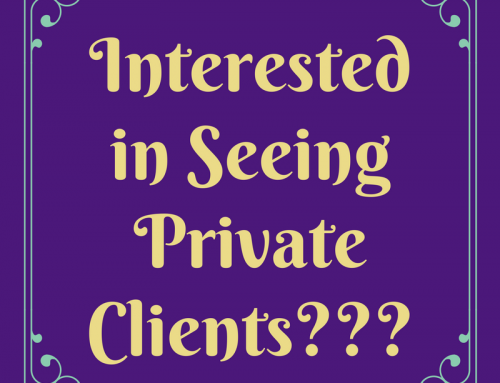 I really enjoy what I do so I’m glad that others can benefit from it as well!! Hi there, I am a mother of a 26 mo old who says less than 15 words and am exceptionally proud of him. My husband and I are first time parents and my son was an only child up to 5 months ago and has no other interaction with children his own age as I am his primary caregiver. My husband and I are concerned if his minimal vocabulary and I am worried that I am doing enough to help him. I try my best to help him but I feel like I’m falling short and I would like to have a new resource to turn to. Please help, thank you! Hi Jennifer! It sounds like you may want to take your son to a speech therapist to see if he would qualify for services. Unfortunately this promotion has ended so I don’t have a copy of this book to send you but if you are looking for some ideas to try at home, I highly recommend this book and encourage you to purchase a copy for yourself on amazon. Also, keep reading my website for more ideas and activities!